Bathed by the Tejo River, Lisbon was built on hills during 2000 years and on top of each hill a different perspective of the city. On each hill, you will find a viewpoint with its own history but with the same finale... our beautiful city: Lisbon! The only man-made viewpoint is the Santa Justa lift, which was built by a student of Gustave Eiffel and offers views of St. George's Castle and the "Baixa Pombalina". 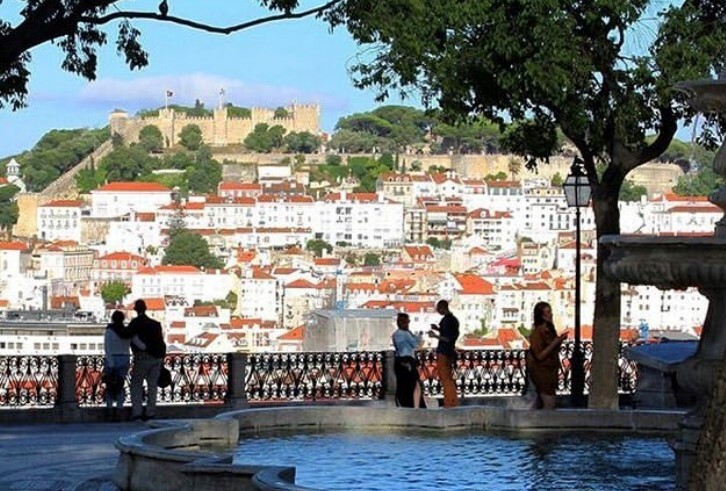 St. George Castle's viewpoint is probably the best sight of the city: you can enjoy a magnificent view of the Tejo River all the way to the bridge and, on the opposite side, a beautiful view of the downtown area up to the Parque Eduardo VII. Another famous viewpoint is the Miradouro de Santa Luzia, with a perfect view of the river and harbor. Moving up in the city you will find São Pedro de Alcântara, which you can reach by taking the Glória lift, and that allows you to enjoy views of St. George's Castle and of the Avenida da Liberdade. 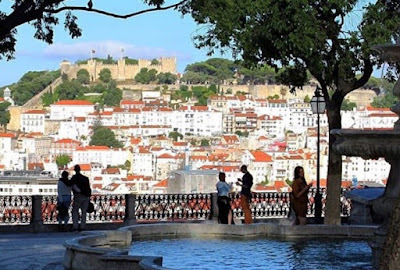 On the opposite side, it is possible to find the Senhora do Monte and Graça's viewpoints, hidden behind the castle and from where you can see the Bairro Alto district and Martim Moniz. These are only some of the options. 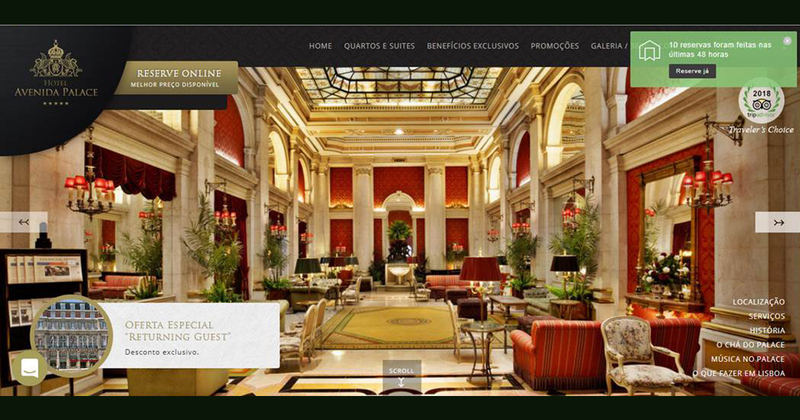 There are other wonderful places to visit such as Penha de França, Monte Agudo and Parque Eduardo VII. The Sun is shining, the sky is light blue and you have green trees shaken by a small breeze but not enough to spoil your stroke, this is just the right scenario for a perfect Tee. Lisbon is not known as a primary Golf destination, but according to a survey made in 2018 by the Lisbon Tourism Council, for 49,3% of the enquired, Golf is the reason they’ve decided to visit Lisbon. 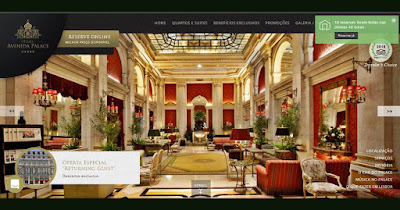 There are several courses available in Lisbon or in the surrounding areas, with easy and quick access by car. This way, instead of staying confined to the resort facilities you can have the best of two worlds and enjoy the pleasure of golfing and still feel the bubbling of a cosmopolitan city. The Golf Course at Quinta da Marinha has 18 holes with 5.870 meters of unadulterated nature surroundings and major challenges. Designed by the legendary Robert Trent Jones Senior, this par 71 has great views to the Atlantic Ocean and Sintra Mountains. The area, Lisbon Golf Coast, won the IAGTO Award in 2007 - Best Established Golfing Destination Europe. 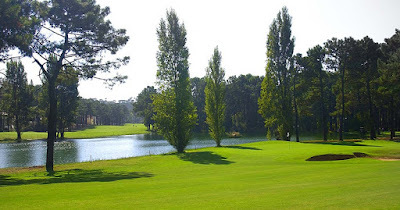 Designed by an American architect, Gary Grandstaff, Paço do Lumiar is a 9 holes Golf Course designed as a challenge for the better player while remaining great fun for all the family. Huge U.S.G.A. tees allowing for constant repair on our 7 par three and 2 par four. Greens designed for any top-rated golf course, and all of this right in the middle of Lisbon! At only 30 minutes’ drive from the Lisbon center, located on the other margin of the Tagus River, with an extremely mild climate, allowing to play golf along all the year, is Aroeira Country Club with 2 fields with 18 holes which is considered by experts, as one of the best Golf Complexes of Europe. Aroeira "I" was designed by Frank Pennick one of the most well-known and famous Golf fields architects, who achieved here a real masterpiece, to reach, in an exemplary way the requisites of a championship golf with the spontaneous and savage nature harmony which shelters and surrounds it. This is just a small hint of what Lisbon has to offer. Until March 31st the Museu Nacional de Arte Antiga presents the exhibition “The Land: Joaquín Sorolla’s Spain”. Born in February 1863, Joaquín Sorolla was a Spanish painter that shined in the painting of portraits, landscapes, and monumental works of social and historical themes. His most typical works are categorized by a dexterous representation of the people and landscape under the bright sunlight of his native land and sunlit water. In the late 19th century, artistic landscapes painting became a requisite practice rather than a minor genre, Sorolla’s “inland” landscapes reflect artistic trends of the time which involved both experimentations with outdoor painting and significant ideological element. In a partnership between Museu Nacional de Arte Antiga and the Sorolla Museum in Madrid, this exhibition, curated by Carmen Pena, brings together 118 paintings by Joaquín Sorolla y Bastida from the museum and from Spanish private collections. 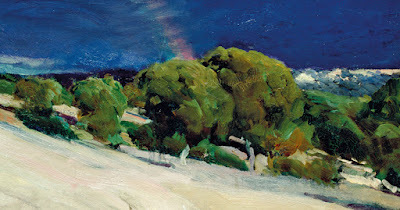 The exhibition shows how Sorolla, the master of the "open air" and the "intense light", unveiled new versions of the various Spanish landscapes, at the turn of the 19th to the 20th century, giving them new meanings and participating in a cultural movement that sought another image of the country. 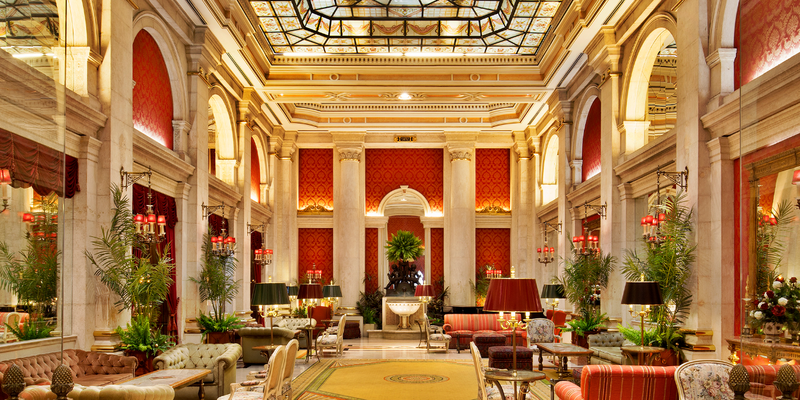 TripAdvisor’s Travellers’ Choice Awards 2019 were just disclosed and the Hotel Avenida Palace has been elected in 4 different categories. The Travellers' Choice Awards are the highest honor given by TripAdvisor, based on reviews and opinions from millions of travelers. 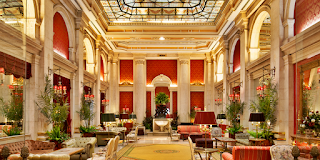 This is a recognition that occurs for the 6th time and places the Hotel Avenida Palace among the top 1% hotels around the world that, according to the travellers’ opinion, are truly exceptional. We would like to express our sincere gratitude to all our Dear Guests who took the time to share their experience at the Hotel Avenida Palace. Here's the complete list of Travellers' Choice Winners. If you’re planning to visit us this weekend here are some of the events taking place in the city. The exhibition brings together 68 artists from different generations, countries and cultures, for whom love has been an inspiration – in its many forms – in the creation of exclusive works. Among exclamations and questions, there are more than 150 works on different supports, including painting and design, sculpture, video, photography and performance, all of which seek an answer to “Quel Amour!?”. 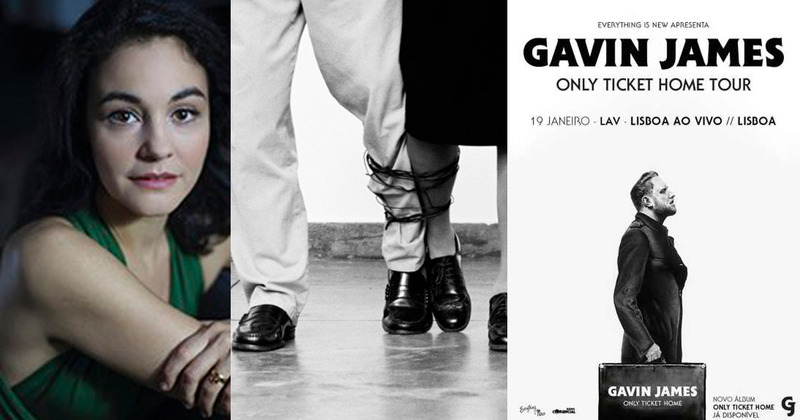 Gavin James is one of the top artists of the moment, and he is coming to Portugal for the first time tohappy sad songs”. “Start Again”, “Put You Back Together” and “Cigarette Break” are just some of the tunes he will perform at this concert. This opera in three acts by Christoph Willibald Gluck starts with an episode of Greco-Roman mythology in which Alceste sacrifices her life to save that of her husband, Admeto, the king of Thessaly. “Alceste” was first performed in Vienna in 1767, with an Italian libretto by Ranieri de Calzabigi, followed nine years later by a French version with a libretto by Le Blanc Du Roullet. It is this French version that will be performed at the Teatro Nacional de São Carlos. This new production will be presented by Graham Vick, with musical direction by Graeme Jenkins.